Maharashtra is enjoying the benefits of many new welfare programs, which have been launched by the state government, for the residents of this region exclusively. One among these is the Maharashtra Savitribai Phule Scholarship Program. Under this program, state authority will provide financial assistance to all eligible girls who belong to pre-matric level. It will encourage them to go to school regularly and will lessen economic pressure from the shoulders of their families. In November 2017, this state exclusive scheme was launched by CM Devendra Fadnavis. The CM was accompanied by other ministers during the official launch of this scheme. The state has already launched an official site for all to gather information. Registration of candidates has already started. As the scheme involves school going girls, the Social Justice and Special Assistance Department of Maharashtra will monitor its implementation. To reach the official portal of this program, one will have to click on https://mahadbt.gov.in/DBT/#/. Providing financial assistance to girls – It is difficult for poor families to tackle the expense of education, which results in high percentage of female school dropout candidates. With the implementation of this welfare scheme, state will prevent this by providing monetary assistance to eligible female candidates only. Amount of money provided – As per the guidelines of this scheme, students who belong to standards 5th to 7th will receive an amount of Rs. 10 on a monthly basis. The pupils who belong to standards 8th to 10th will receive Rs. 100 on a monthly basis. Tenure of the grant – The pupils who study in any class between 5th to 7th will get the grant for duration of 60 months. The students who belong to standards 8th to 10th will be eligible to get the scholarship for a period of 10 months. Promoting education in the area – Providing the monetary grant will encourage the parents as well as the candidates to opt for traditional education in the schools. It will lower the number of candidates dropping out of school. Cash transfer in bank account – There will not be any cash transaction. Each candidate will get the educational grant in their respective bank accounts. Residents of the sate – To get the financial assistance from state authorities, the applicants will have to be legal residents of this state. Only candidate born and living in Maharashtra for a long period of time will be able to register. Students of pre-matric level – This scheme will give this scholarship to students who are studying in standards 5th to 10th Thus it means that candidates studying in pre-matric level will only be able to apply. Belonging to backward castes – The state authority has implemented this program to assist poor and needy candidates, who belong to SC or OBC or VJNT classes. These are backward communities and need representation. 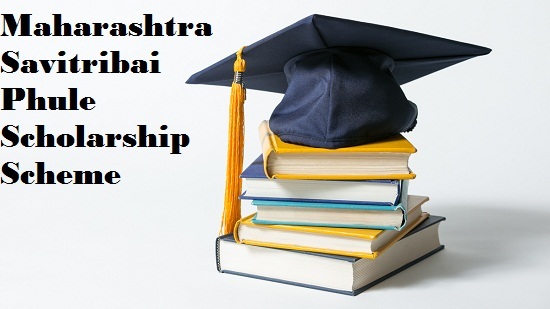 Continuing education in Maharashtra – If any eligible female candidate is interested in getting the monetary grant for Maharashtra authority, she will have to continue academic journey in any recognized education institute in Maharashtra. No bar on family income – No upper or lower limit of yearly family income has been mentioned in this draft. Any eligible and needy candidate can apply for this scheme. BPL candidates – To acquire the benefits of this educational grant, all candidates need to belong to poor and needy category. They must fall Below Poverty Level. Passing last examination – It is mandatory for the applicants to secure good marks in the last examination. If they fail to make the required cut, they will not be able to enroll under this program. Active bank account – The monetary transaction will only be done if candidates have access to active bank accounts. Thus, if any candidate is interested in getting this pre-matric scholarship, she must have a bank account. Residential certificates – This program is only for pupils who live and study in Maharashtra. To support these claims, each applicant will need to furnish residential documents. BPL certificate – Attaching the BPL certificate is also necessary. It will support the claims of students that they belong to economically weaker sections. It will assist in developing the condition of needy students. Caste certificate – Female students belonging to SC or SBC or VJNT castes will get the opportunity to apply for this scheme. Thus, each candidate will have to attach her caste certificate as well. Mark sheet of last exam – Only candidates who have passed their last examination will get this grant from state authority. To assist the verification process, they need to provide a copy of last mark sheet. Aadhar Card – Providing the UDI or the Aadhar code is a must. For this, it is mandatory that each applicant possess their Aadhar Cards. Without this card, candidates will not be able to apply. Bank account details – Providing details of the applicant’s bank account is also mandatory. Without these details, the state government will not be able to transfer grant money. To register for this educational grant, each interested candidate will have to click on the official portal of Maharashtra government, mahadbt.gov.in. Once the page opens, the applicant must search for the “New Registration” link and then click on it. A new page will open and here, the candidate needs to type in the Unique Identification Code or the Aadhar Number. It is needed for future authentication. The applicant will have to click on the link that will assist in verifying the Aadhar code. Then she must click on the OTP link. When the site generates the OTP, an applicant needs to type it in the respective field. It must be followed by clicking on the Next link. It is the verification that the site needs to trigger the generation of the digital registration form. It contains fields where an applicant needs to type in required details. To save the registration form, the interested will have to click on the link that is marked as Apply. Apart from the official link of scheme’s portal, https://mahadbt.gov.in/DBT/#/, any interested candidate can call on the number 18001025311. It is a toll free number and it will remain active from 9 am in the morning to 6 pm. This number remains active from Monday till Saturday. This scheme will encourage better participation of female candidates in traditional education system. The state authority is convinced that due to the presence of monetary assistance, there will be a marked drop in percentage of dropouts and uneducated candidates.